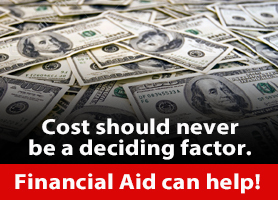 Financing a college education can be a major concern. Kentucky Christian University wants to help. We are here to assist you in developing a financial plan free of charge. Do not pay anyone for this help. KCU has earned a national reputation for quality Christian education. The small classroom settings (12 to 1 student to faculty ratio) coupled with experienced professors (more than 75% of our faculty have earned their terminal degree) will provide you with the skills needed for your chosen career and for life. Through our academic plan, a Christian-based curriculum, and a committed faculty and staff, you will be challenged academically and spiritually, to excellence as a servant and leader. The cost of an education at KCU is approximately $35,080* per year, but the value is priceless. The following information will provide a guideline for you to follow while developing your personal financial plan. KCU is here to serve you. I personally look forward to working with you in the near future. P.S. Completing the FAFSA at your earliest convenience is the most important step you can take! October 1 is when it becomes available. *Includes tuition, fees, room/board and book estimates for one year.